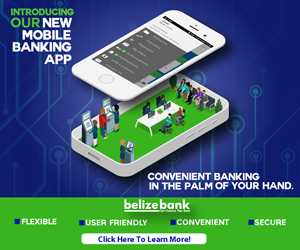 There is a disturbing report tonight that an armed robber attacked a Belize City woman and then held her mother hostage until she returned with money. According to thirty-five year old radiologist Silvia Parales, around nine on Thursday night, she and her mother had just walked up to their car in the parking lot of Brodies on the Northern Highway when a man with a gun walked up to them and demanded cash. Parales handed over a hundred bucks but the thief wasn’t satisfied. He found the victim’s ATM card and told Parales to withdraw the maximum amount from the machine inside the Brodies building while he sat in the car with her mother. Parales complied and withdrew an additional four hundred dollars. Determined to drag out the incident, the gunman then forced Parales to take him to an area near Los Lagos where he got out and caught a Ready call bus headed towards Orange Walk. Police have no suspects and investigations into the incident continue.